You better start brushing up on your Klingon if you want to serve in the Starfleet! 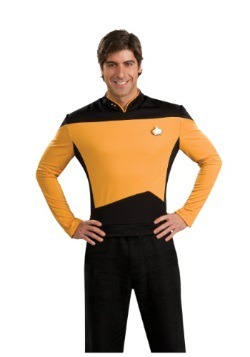 If you are a certified 'trekkie' you are going to love our cool Star Trek costumes! 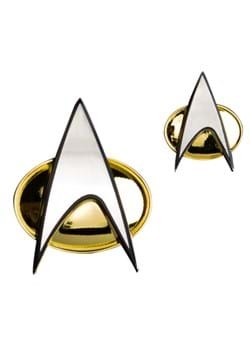 I'm sure you've dreamed about being a part of the United Federation of Planets and now here is your chance to at least look like you belong in outer space! You can choose to be Captain James T. Kirk, Spock, or Dr. Leonard "Bones" McCoy by choosing from our Command Uniform t-shirts. Star Trekk has spawned many series and movies because of the shows popularity and cult status. 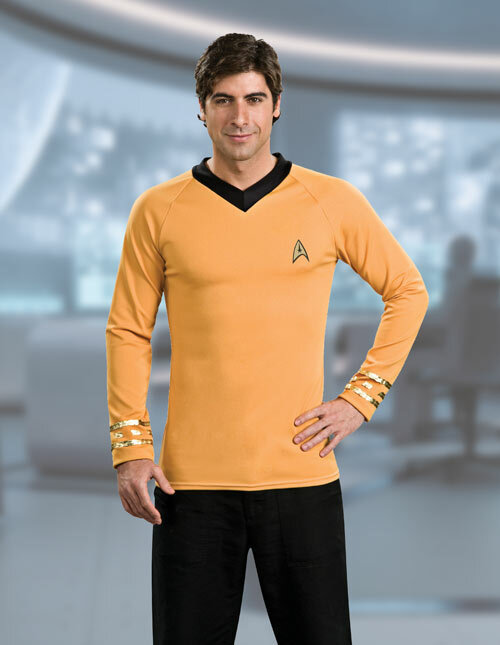 Star Trek resulted in 726 episodes that ran across 30 seasons of the TV obviously making it a very cherished show, so you know many will love your costume as well! 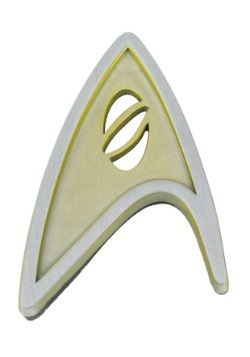 Have fun becoming a member of the USS Enterprise crew this Halloween with our collection of Star Trek costumes! 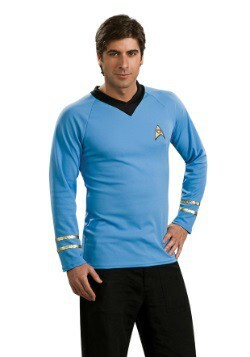 Get a men's Star Trek costume or even find female Star Trek costumes at great prices. 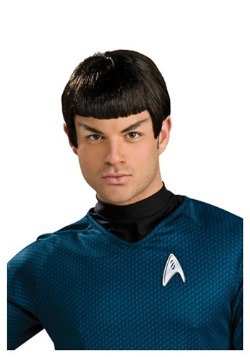 Add a Spock wig to one of these Star Trek Halloween costumes for a look straight out of the movies! “To boldly go where no one has gone before.” Pretty simple premise, pretty epic results! Star Trek has been entertaining fans for decades, and with a plethora of shows and movies in the franchise, there’s plenty for fans to love. 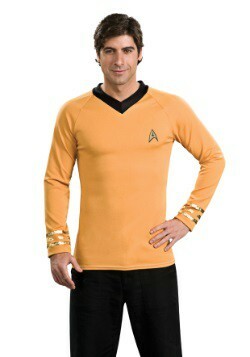 So, we wouldn’t be surprised, not one bit, if you happen to have a Star Trek costume on your mind! 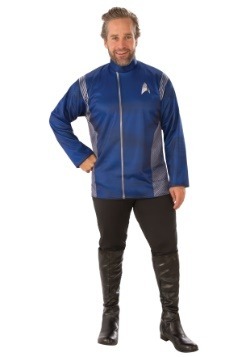 Whether to relive your favorite era for Halloween or for a quick costume to hit the Star Trek convention, we have costumes that will let you suit up in authentic Starfleet style. 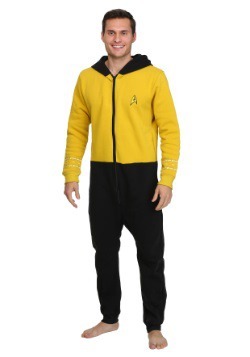 So, if you’re looking for Star Trek costume ideas, look no further. 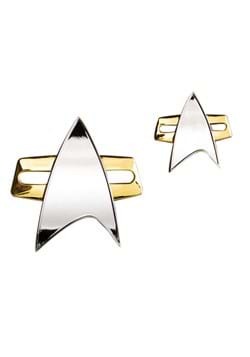 We’ve got everything covered from Kirk to Picard, and we’ve also got the know-how to bring these Star Trek styles to life. Read on to learn some costume tidbits about this ever-popular franchise, and for some extra help in choosing the right Trek character for you. 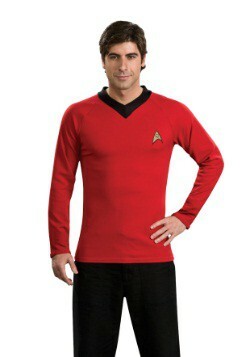 From top sellers to timeless classics, our Trekkie costumes will have you ready to join the Federation! The one. The only. Captain James T. Kirk! He boldly went where no men had gone before when he captained the Enterprise on the 1968 show, and now you can too with this Classic Deluxe Captain Kirk shirt. The all-polyester top is a lightweight and comfy upgrade from the velour featured on the original costume, and screen printed emblem and embroidered cuff rank insignia make it look official. Did you know these shirts were in reality olive green but appeared gold on film? It’s true, but this shirt is 100 percent gold, just as it’s been remembered in pop culture. 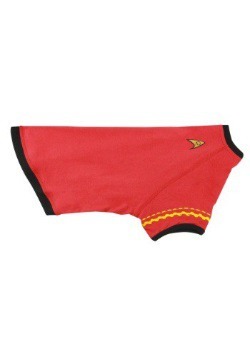 While shirt-and-pant combinations were featured for the men of the USS Enterprise, the Star Trek women’s costume was a dress with a miniskirt cut. Actress Nichelle Nichols didn’t mind one bit. “I was wearing them on the street. 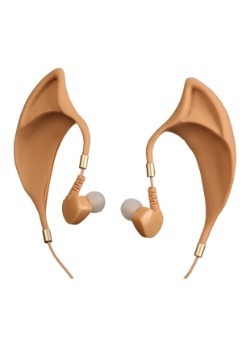 What's wrong with wearing them on the air? I wore 'em on airplanes. It was the era of the miniskirt. 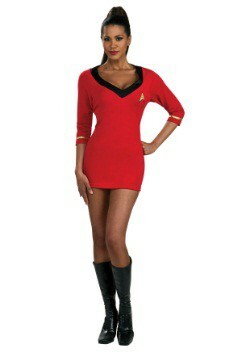 Everybody wore miniskirts.” You can recreate her character’s iconic communications officer style with this Classic Uhura Costume. 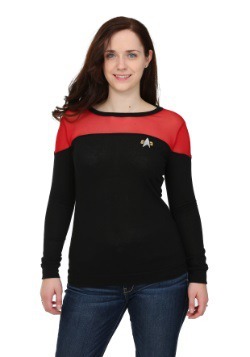 With spandex stretch for just the right fit, this style features the signature details that will have you opening hailing frequencies in no time! “Live long and prosper.” The iconic blessing of the Vulcans is as well-known as their most famous individual, Mr. Spock, science officer and first officer of the USS Enterprise. You can easily become the ever-logical Spock with this Deluxe Classic Spock Shirt. 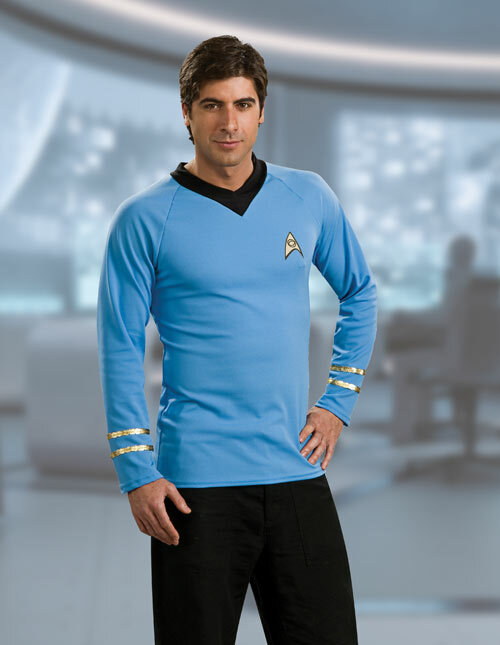 The blue shirt will look great with your Vulcan wig when you add it to your costume. Just remember that Spock is indeed half-human too, so you may still have to wrestle with some emotions when you embark on your Star Trek adventure. What the original Star Trek did for the fans of the 70s and 80s, Star Trek: The Next Generation did for, quite literally, the next generation! These syndicated adventures started in 1987 with Patrick Stewart helming a new cast as the crew of the Enterprise NCC-1701-D. Set in the 24th century, he had a new, diverse crew, with memorable characters such as first officer Will Riker, tactical officer Worf, engineer Geordi LaForge, doctor Beverly Crusher, and counselor Deanna Troi. 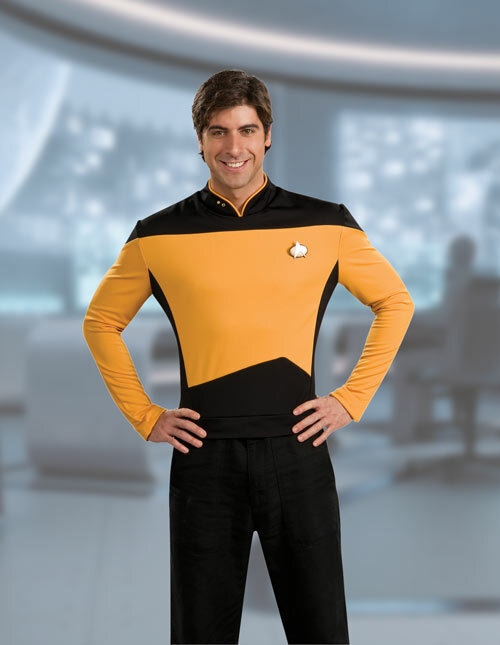 Updated Starfleet costumes made their debut as a modern take on the classics, having been updated for 24th century sensibilities. Initially one piece spandex jumpsuit costumes, the majority of them were replaced from the third season onward as the real life cast found a new redesigned uniform style to be much more comfortable. 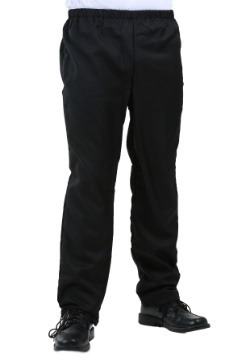 Black shoulders and pants coordinated with colored sleeves and chest and back panels. Similar to the Original Series, colors corresponded to an officer’s division assignment, with the colors for command and operations having switched after the “Monster Maroon” movie era of the Star Trek timeline. 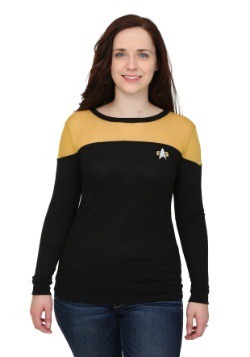 Our Star Trek uniform shirts are made in the signature style of the series. You’ll have to supply your own black pants, but the most important part is still included: the rank pips! 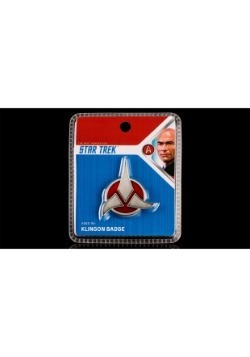 4 pips are included with butterfly pin backs, so you can choose your own rank and position on the ship. And that means you’ll be able to portray any of your favorite characters. 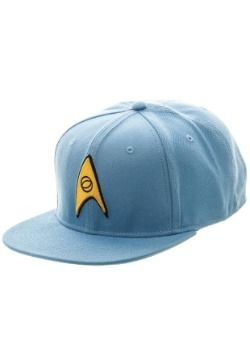 “Engage” as your favorite member of the Enterprise-D crew and you’ll be ready to boldly go where no one has gone before! Maybe you’re ready to put up your feet in the ready room. Or play your Ressikan flute while you sip some tea (Earl Grey, hot!). Or maybe you’d like to go full-on Darmok and Jalad at Tanagra! 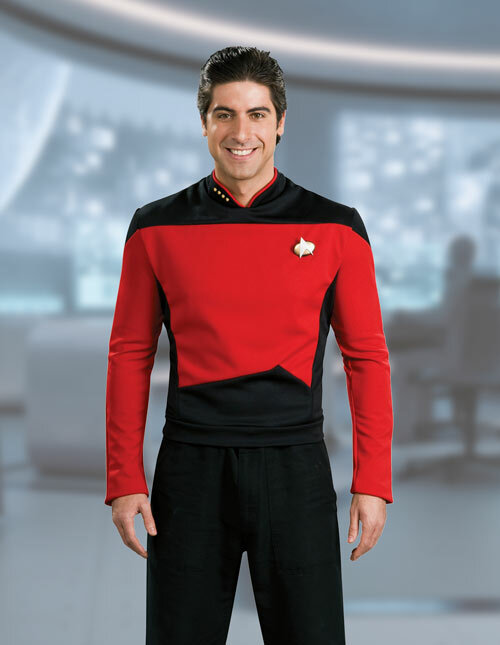 Whatever kind of adventure you’d like to suit up for, you’ll be ready to command the bridge of the USS Enterprise as Captain Picard with this Deluxe Commander Uniform. 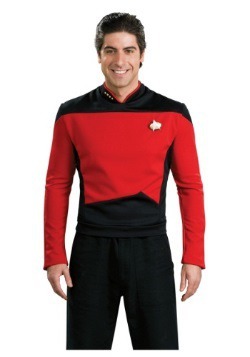 Of course, this costume also affords you the opportunity to become Riker, Q, or any command division officer. 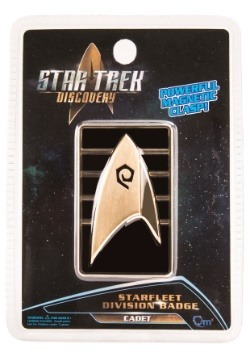 Choose your rank and you’ll be ready for the Enterprise or any other ship you’d like to serve on! Few TNG performances are as iconic and memorable as Brent Spiner as Lieutenant Commander Data in the series. You might need to practice not using contractions (which even hung Spiner up in real life) but we’re sure you’ll have a blast as this aspirational android. 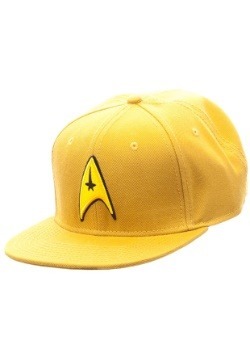 Since the gold Star Trek uniforms denote service in operations divisions, this Deluxe Operations Uniform also works great for Geordi LaForge or Worf. You could even portray Reginald Barkley if you’re not too worried about transporter psychosis! The proud and stoic warriors of the Star Trek universe, Klingons were often Kirk’s foil as the bad guys during his era, whereas by the 24th century they had become tentative allies of the Federation. In any case, with burly forehead ridges, heavy duty armor vests, and large shoulder pads, these dudes sported an intense appearance—fitting for their backstory as the archetypal warrior race. 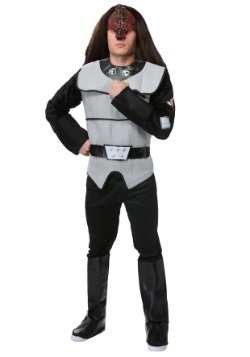 As Star Trek costumes go, Klingon costumes are one of the most popular choices. 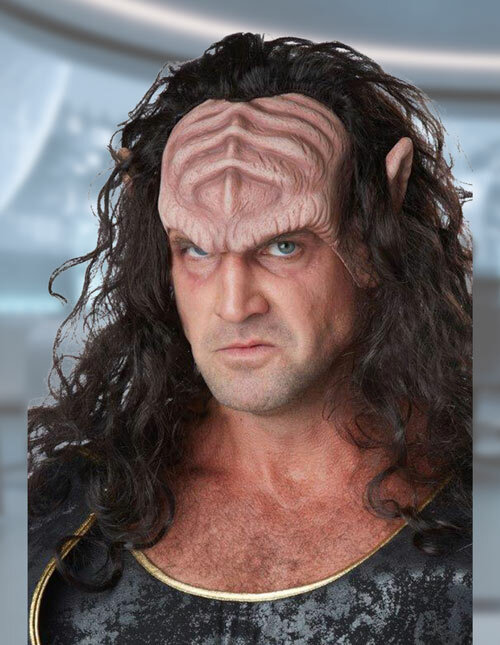 We have a great Klingon uniform and makeup and wig accessories, too, so it will be easy to become your favorite son of Qo’noS. 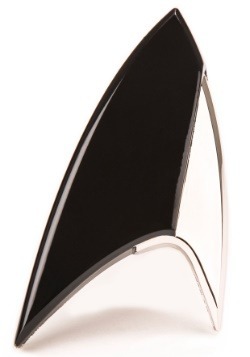 Just remember to leave your disrupter or bat’leth at home for the costume party. Weapons are discouraged at parties here on Earth! 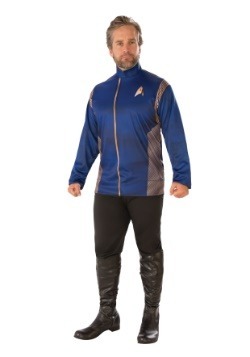 Whether you want to grab a Bird-of-Prey and undermine Captain Kirk for some sort of intergalactic conspiracy or you want to team up with Lieutenant Worf to restore his house’s honor, well, this costume will be just the thing for you. 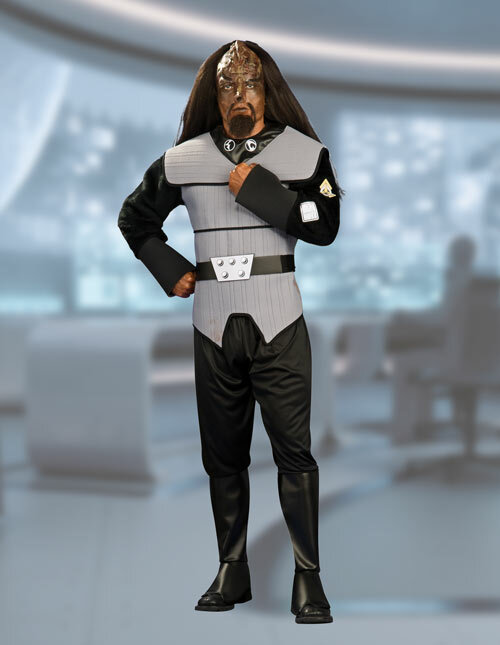 Standard issue threads for the Klingon Defense Force, this style costume first debuted in Star Trek: The Motion Picture and endured right through The Next Generation with only minor changes over time. 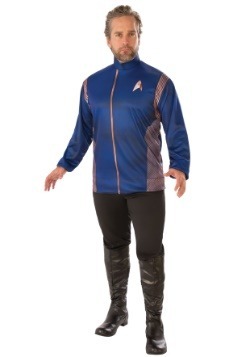 This Deluxe Klingon Costume comes in polyester versus the thick armor sported on screen, so while you might not be properly equipped for battle, you will indeed look the part! It also features a forehead piece and wig to replicate their signature appearance. So there’s no doubt about it, choosing this costume is going to be a major Q’plaa! 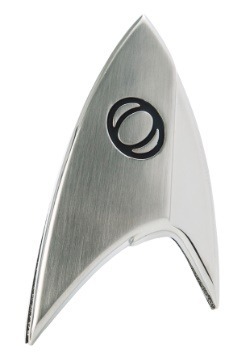 Ok, we know you take being a Klingon seriously. As you should! So you probably want a heavy duty upgrade to give yourself the signature forehead ridges. Add this headpiece/mask combo to your costume and you’ll be drinking Klingon bloodwine in no time! 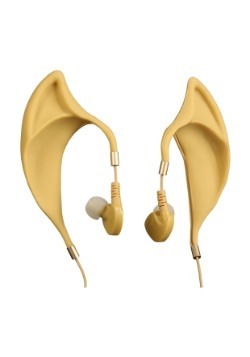 A molded latex forehead details allows you to customize it with makeup as desired, and attached ears and long black synthetic hair strands will have you looking particularly fierce. Suit up in Klingon armor to become a dutiful soldier of the Klingon Empire, or grab the gold Star Trek Costume to portray Lieutenant Worf. Whatever kind of Trek you’re tackling this Halloween, we do have one important piece of advice. You don’t want to take it on without the right gear! 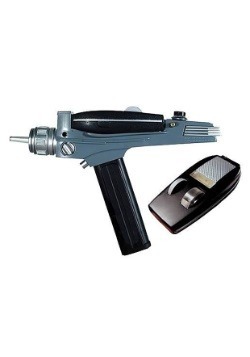 Whether you need a trusty phaser at your side or you need to make sure you have a functioning communicator to get ahold of the captain on the bridge, we have accessories that will let you complete any of our Star Trek Halloween costumes. Check out these top selling props to see if any of them will add the perfect touch to your uniform! 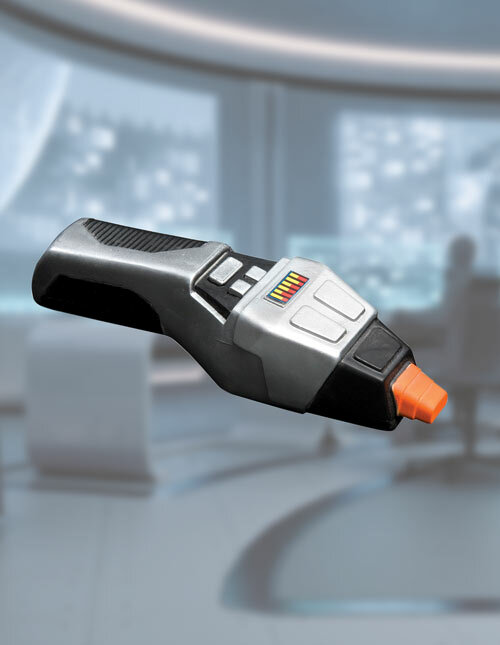 Setting your phaser to maximum might vaporize your target, but even shooting off a phaser set to stun is more than enough to get you in trouble. 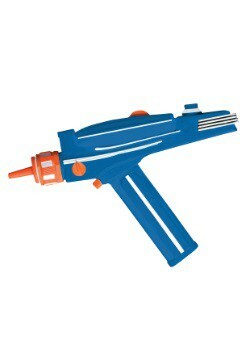 So, we advise just carrying around a prop phaser to go along with your Star Trek uniform. It’s much safer than carrying around the real thing! 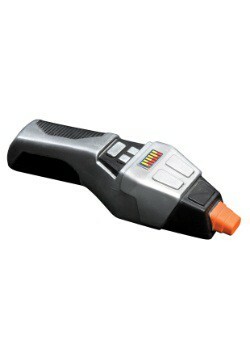 This TNG Phaser accessory is officially licensed, and it even makes realistic sounds to complement your theme. 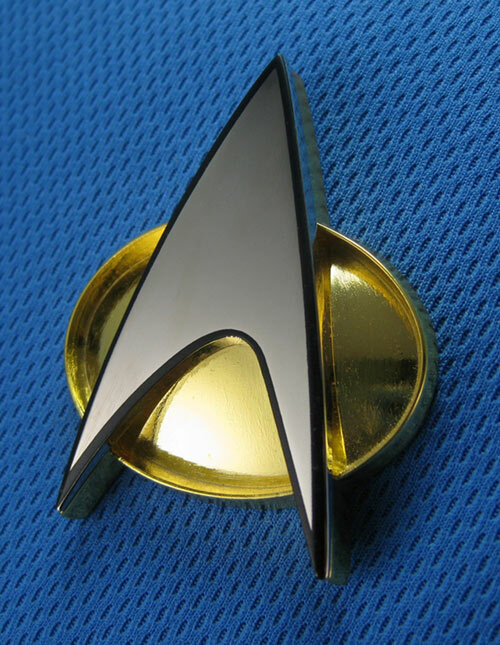 Whereas Kirk and company had to carry around handheld communicators, by the time of The Next Generation, every officer was equipped with a handy dandy combadge right on their chest! A simple tap on the chest was all it took to say “Beam me up!” and get transported out of a sticky situation. 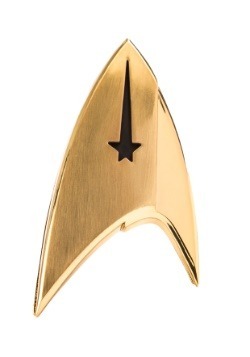 This The Next Generation Replica Communicator is for decoration only, so it won’t help you get in touch with Chief O’Brien. But it will still be a very important upgrade to your Next Generation costume style! Yeah, Spock’s got those ears. 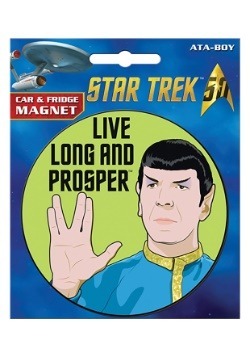 But so does every other Vulcan too! 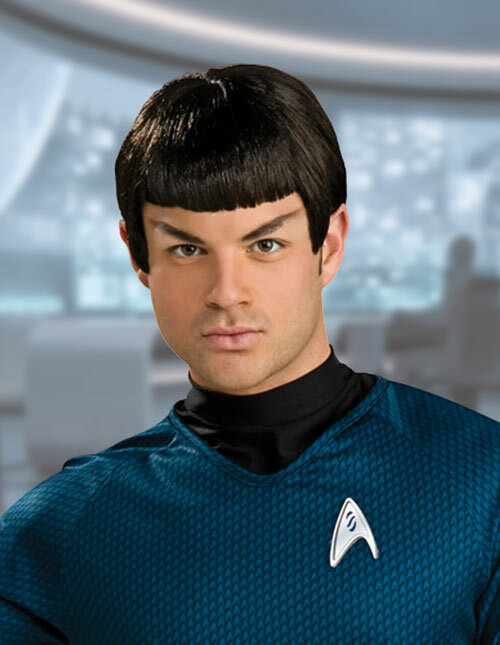 The also seem to have a pretty signature hairstyle, too, which Spock always sports, and this accessory Spock Wig with Ears has them both. The black wig has the helmet-like bangs and signature black hair strands. 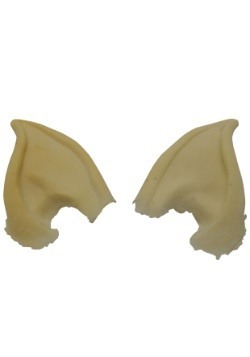 And the latex ears are attached so it’s a no fuss way to become the Mr. Spock himself. “Logic is the beginning of wisdom, not the end,” as Spock would say, and we’d have to conclude that adding this wig to your Spock costume is pretty doggone smart!